This morning I returned to McAdams park. I really wanted to finish the area I’ve been hunting lately. 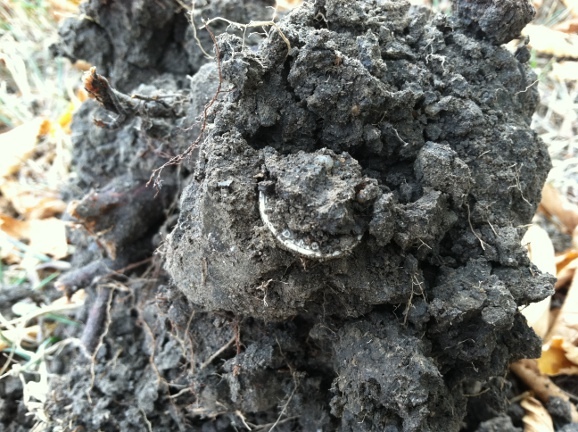 20 minutes into the hunt I found the 1946 Roosevelt dime 5 inches deep. I had a great shot for a picture but my phone was in my car and I did not want to walk all the way to it. Once I finished with the area, I went and got my phone. 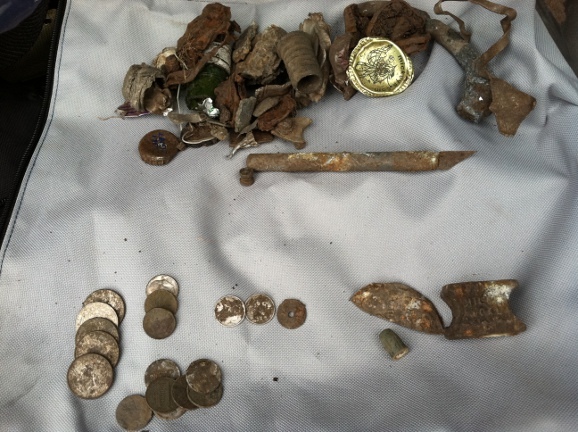 Before I left the section I was working, I found the 3 Merry Widows tin 8 inches down. I wish it was in better shape but it was folded over and it was brittle so I could not unfold it completely without breaking it. Finding this tin however, gave me an insight as to how deep the earlier coins are. The 3 Merry Widows brand of condom was used up to the 30’s. If this tin that doesn’t have much density sank this much, the older coins may be that deep as well. The park was opened in 1901 and there has to be Barbers in there and maybe even Seated coins but I am not finding any yet. So I moved to an adjacent section of the park and I found the Kansas tax token. Kansas stopped using the tokens in the 30’s. The token may have been dropped before then. 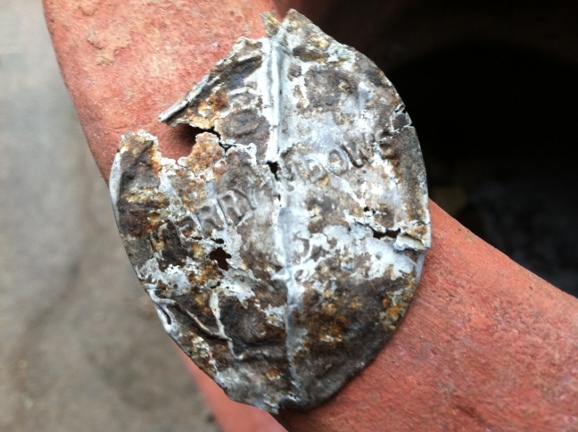 This gave me a little hope that some older coins may not be too deep since the token was 6 inches deep. After finishing that section I looked around and saw an old looking light post still standing in a corner of the park without a light bulb. I figured the original soil was still available so I moved my hunt there. 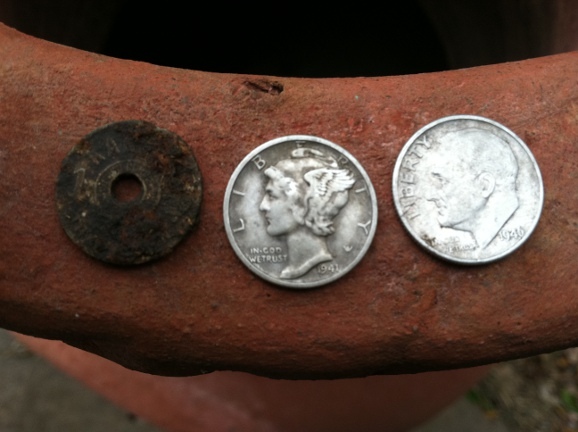 I had hunted for maybe 5 minutes in that area when I found the 1941 Mercury dime only about 5 inches down. This time I took a picture of the coin still in the plug. I spent the next hour looking for the Barber dime to complete the trifecta but a storm began to move in so I called it quits and headed home. I never get tired of seeing this! Somebody was getting freaky at the park back in the day! I completely mangled my first 3MW tin with my digger, so that one isn’t half bad!